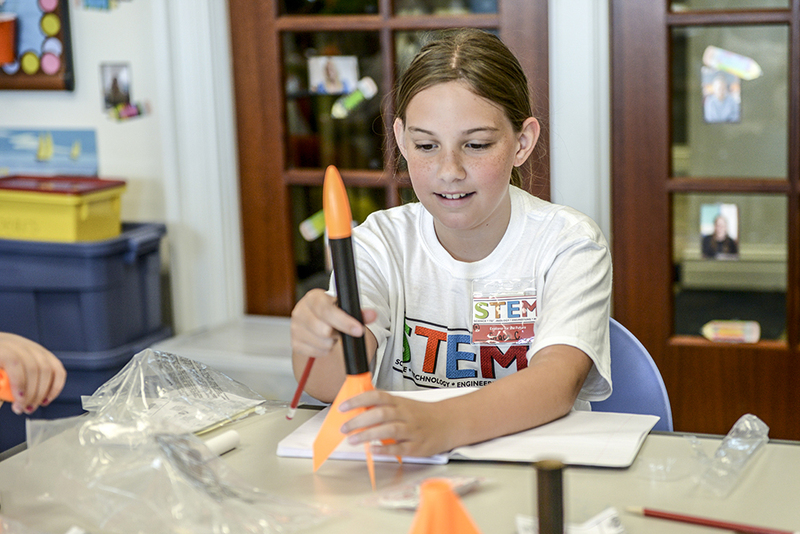 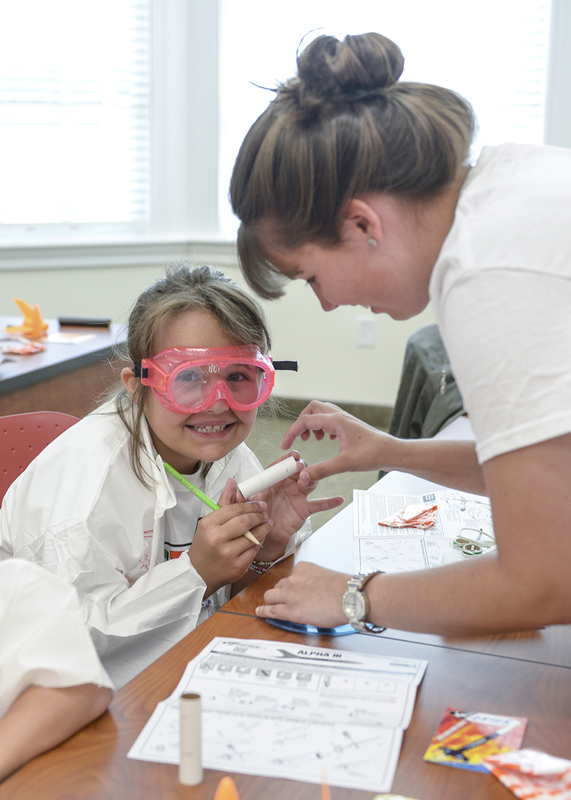 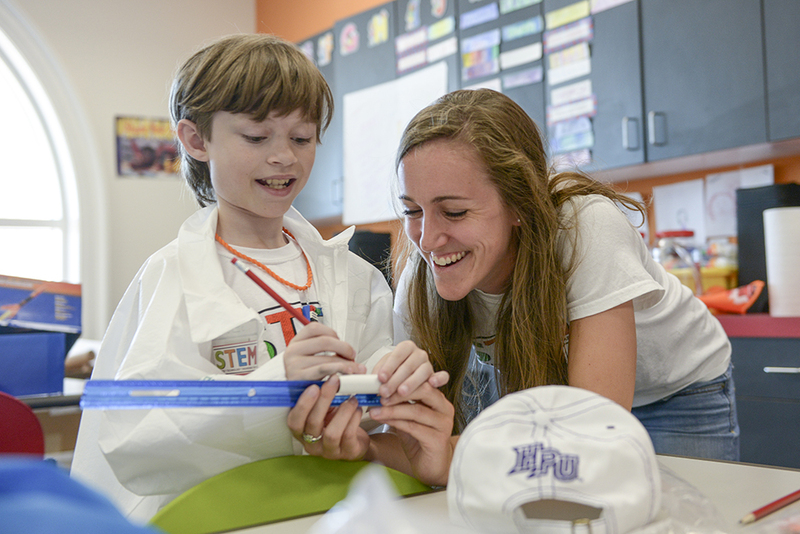 HIGH POINT, N.C., June 30, 2016 – Children in the community have spent the past nine days engaged in STEM (science, technology, engineering and math) activities through High Point University’s second STEM Camp hosted by the School of Education. 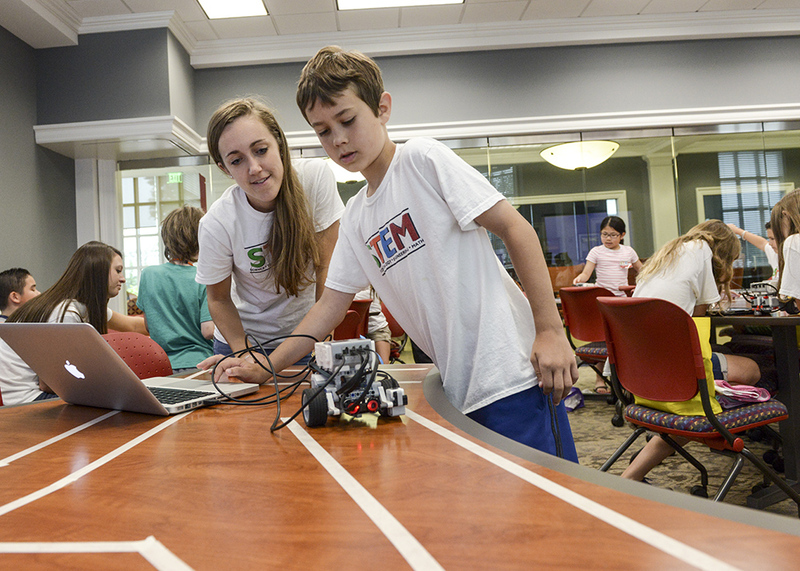 HPU faculty and students led activities such as Lego robotics, rocket building, mine craft mazes and more, to put the children’s creativity to the test and teach them a different approach to learning. 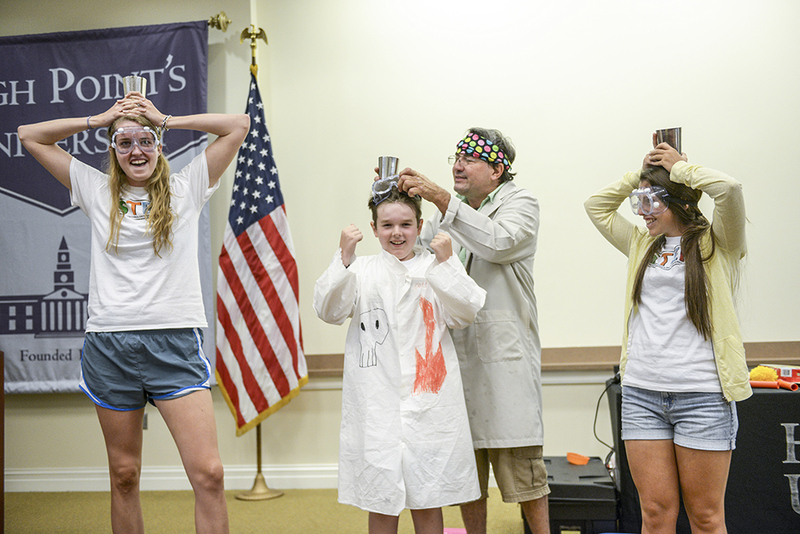 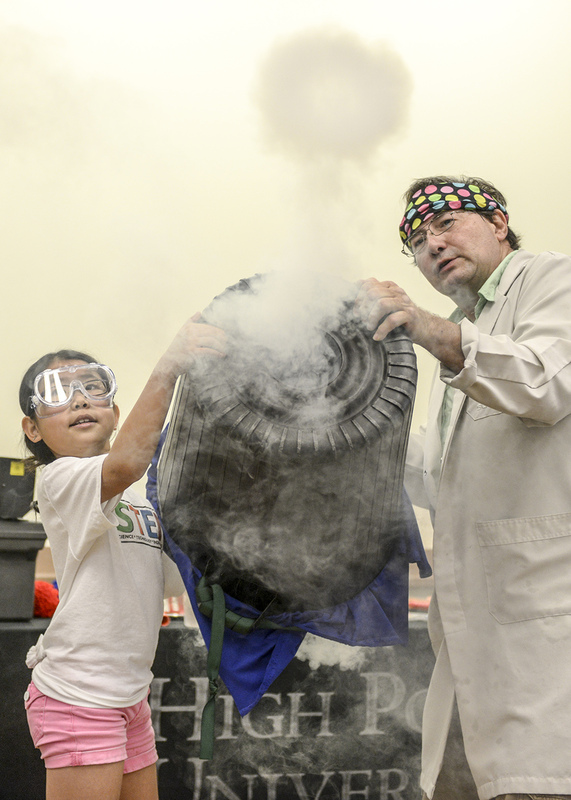 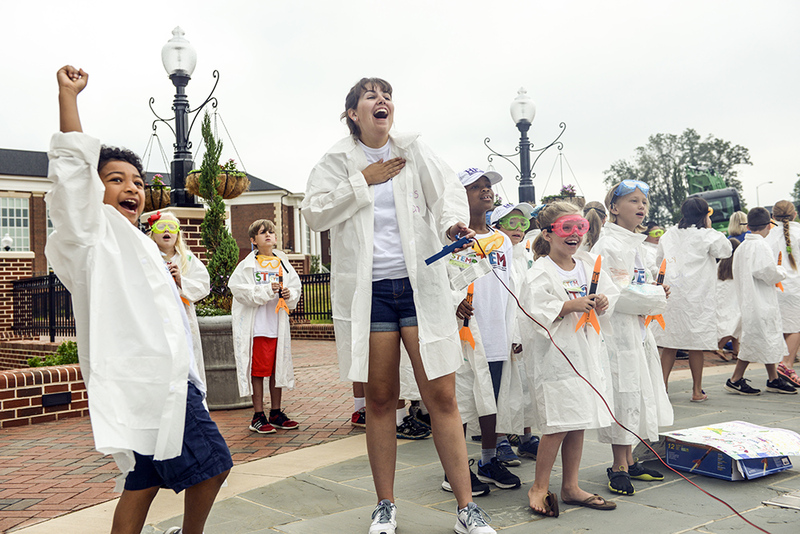 As the camp wrapped up today, students launched rockets they created, and a “Mad Scientist,” from madscience.org, made an appearance to host a chemistry and physics show for the children. 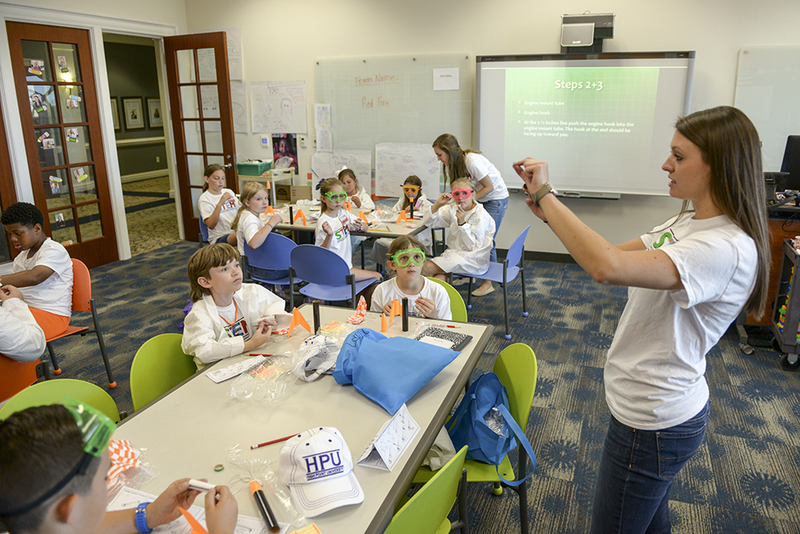 Dr. Tess Hegedus, assistant professor of education at HPU, co-hosted the STEM Camp with Disseler. 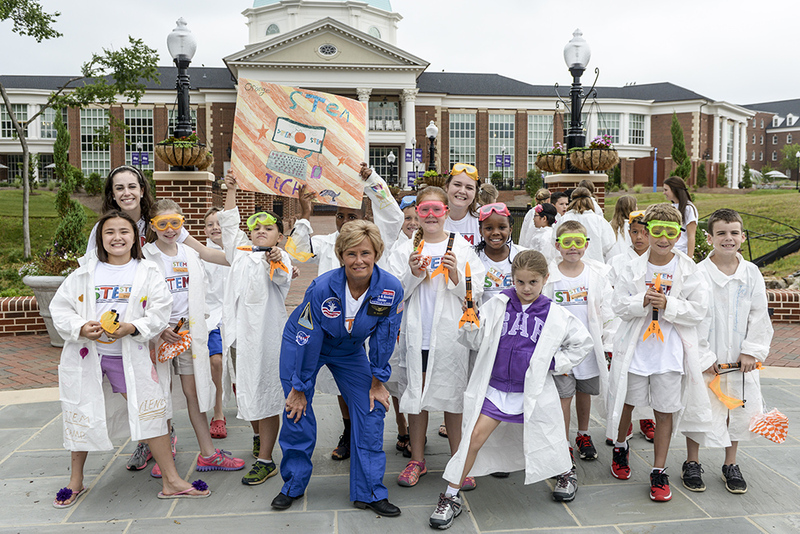 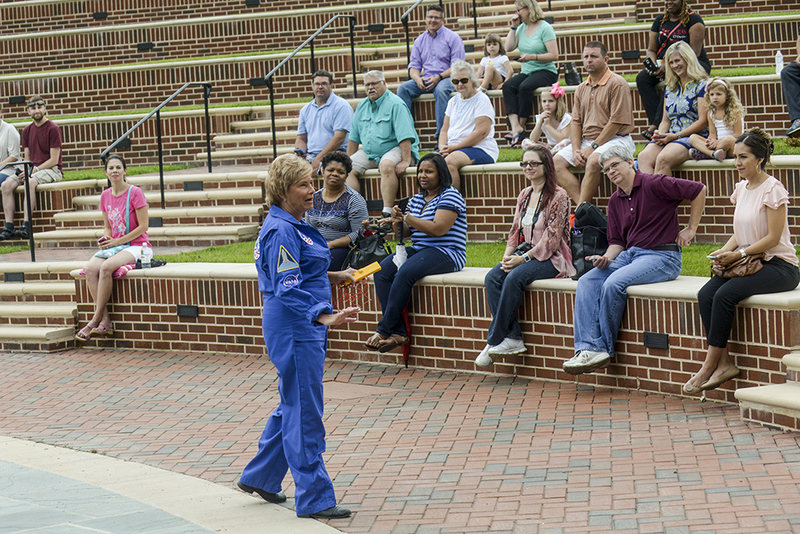 HPU hosts Lego field trips for local schoolchildren throughout the year. 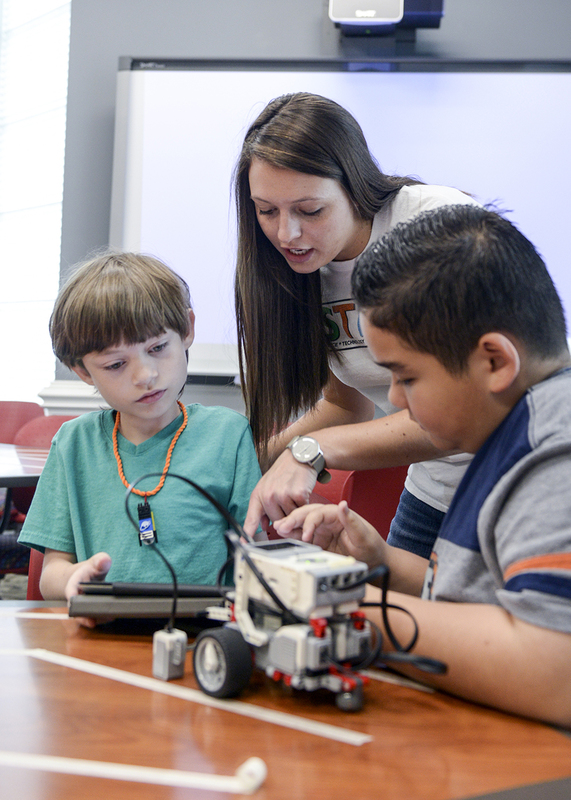 The university also holds community Lego days as well as Lego teacher academies. 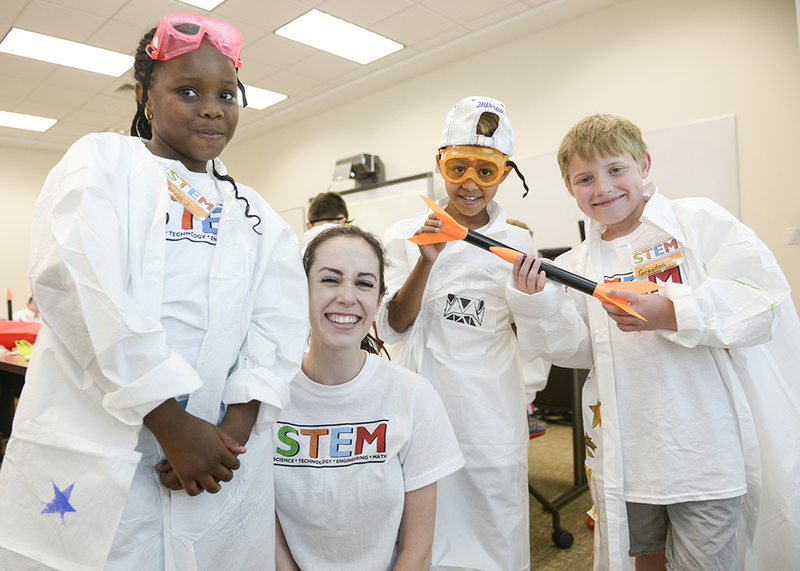 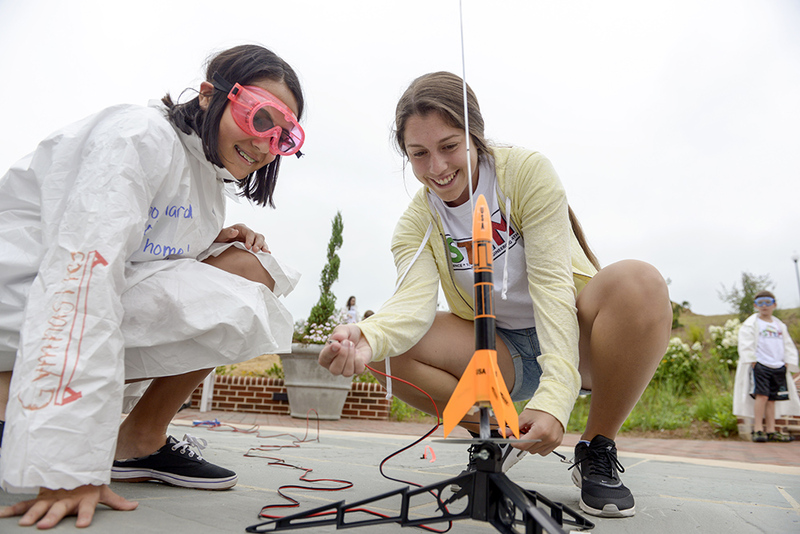 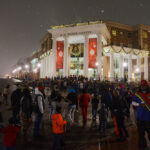 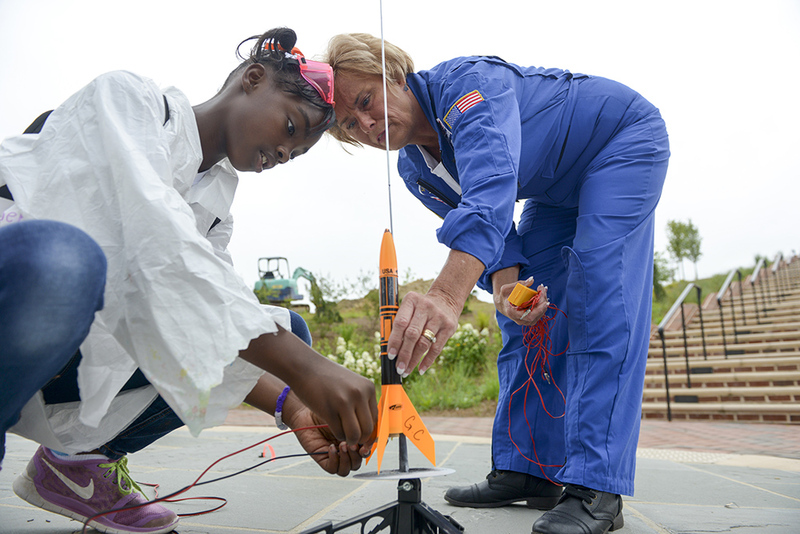 During these events, thousands of children, teachers and community members visit campus for a hands-on, fun experience that promotes teamwork, creativity and exposure to science, technology, engineering and mathematics. 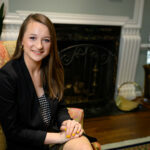 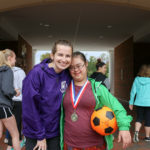 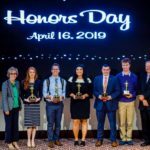 The events also help undergraduate and graduate students in the HPU School of Education gain valuable experience and feedback in teaching techniques and classroom management. 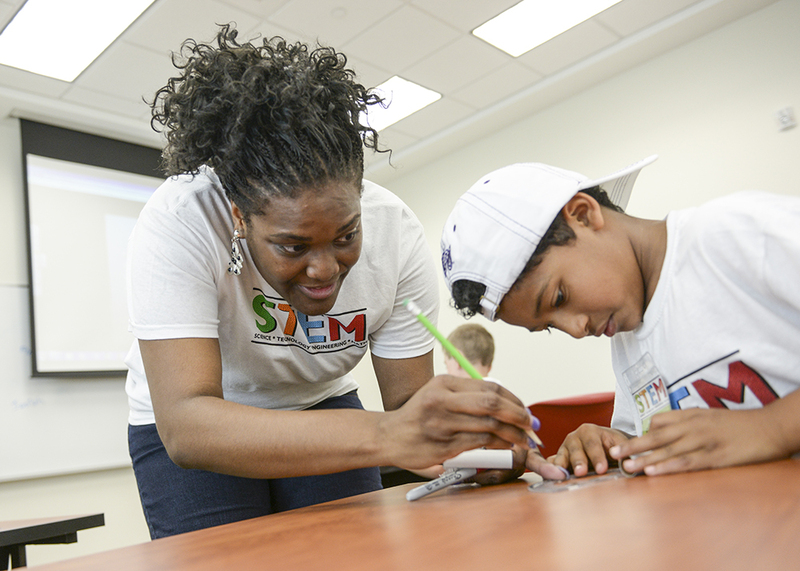 Disseler recently published the first title in a 10-book series aimed at helping teachers and parents teach math in an engaging and accessible way. 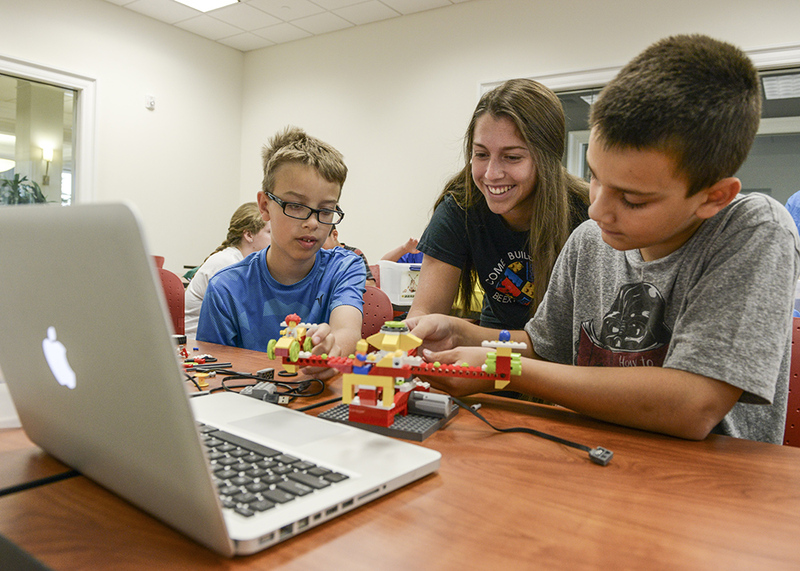 The Brick Math Series, published by Brigantine Media’s Compass Publishing, uses a common toy, Lego bricks, to teach math basics for students in elementary and middle grades. 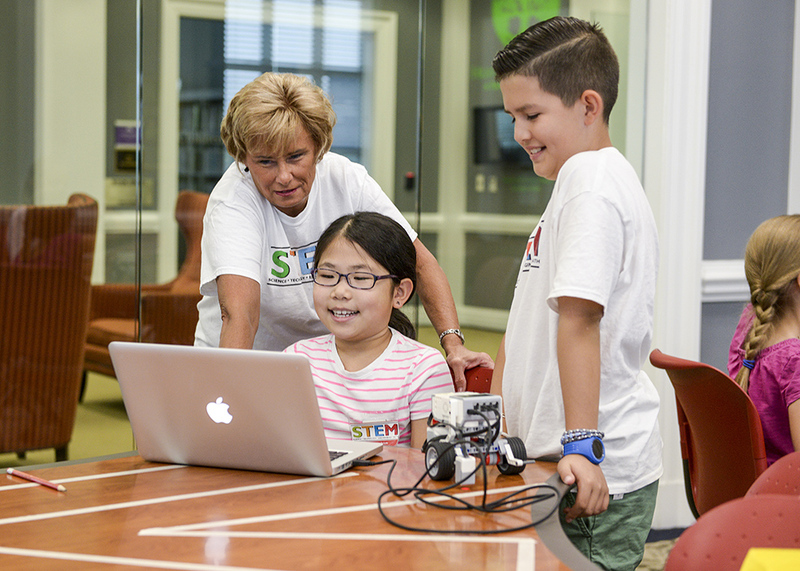 In addition to her role as chair of the Department of Elementary and Middle Grades Education and the STEM Coordinator for the BA to M.Ed. 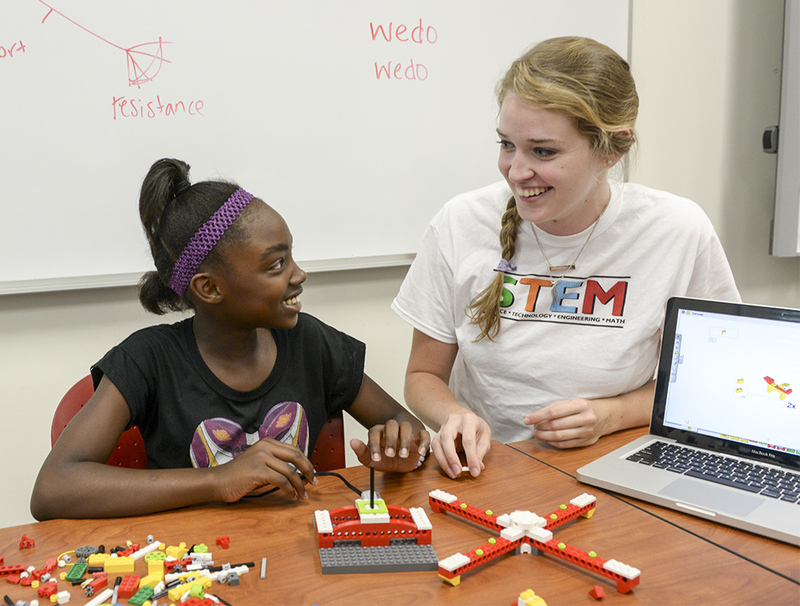 Program in HPU’s School of Education, Disseler is also a Master Trainer for Lego Education and has assisted in the development and testing of several Lego Education products.